Each of the seven skirts is hand dyed and one-of-a-kind. Each has been lovingly made with new, up-cycled and recycled material. 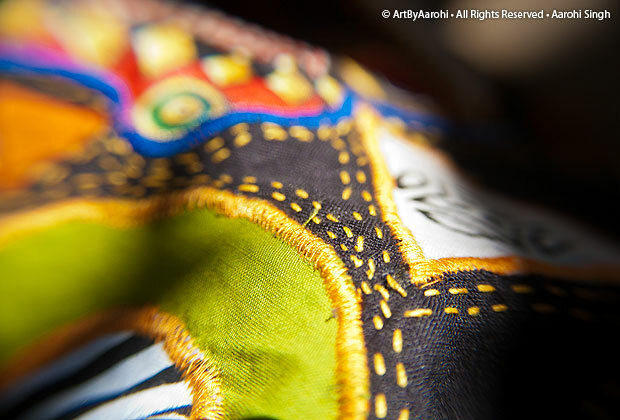 There are custom appliqués from the signature ArtByAarohi label along with some that have up-cycled fabric. These skirts have elements of hand painting, hand embroidery, machine embroidery, appliqués and patchwork. And they have all been done individually by me. I hope you enjoy them. Click here to buy. This entry was posted in Graphic, Re-use, Re-work, Sewing, Upcycle. Bookmark the permalink.